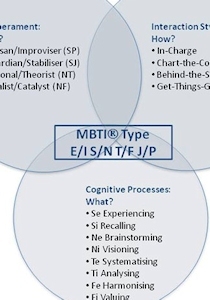 Jungian Type is usually explored using the MBTI and other similar questionnaires. (For the basic elements and framework see this page about Jungian type.) Too often, the questionnaire results are taken as definitive, especially in work environments because of time pressures and budget constraints, among other reasons. However, any questionnaire, on its own, is not fully reliable – they are designed to be done in conjunction with a follow-up clarification session, to help the individual find out their ‘best fit’ type. The more we can understand about our best-fit type, the more it can help us with growth, development, managing stress, understanding and relating to others, and so on. But Type was never intended to be an additive group of four letters. It is a dynamic theory, and the whole type is so much more than the sum of four letters. Whole Type is a methodology where multiple complementary models are integrated with the four-letter type code (E/I, S/N, T/F and J/P) to provide more in-depth insight into natural preferences and potential behavours. They add depth and breadth to our understanding of Type. Cognitive Processes, originating from Jung’s Theory of Psychological Type, the Processes reflect WHAT type of information we naturally gravitate towards and what criteria do we then use to make decisions. Temperament, a separate yet complementary theory to type described by David Keirsey. Temperament represents a pattern of needs, values, talents and behaviors, and reflects WHY we do what we do, and has four categories that divide the 16 types into four groups. Interaction Styles, a separate yet complementary theory articulated by Linda Berens. It is a pattern of physical drives, mental beliefs and innate talents that influence the ways that we interact with others to achieve our goals. Reflects HOW we do what we do, and again divides the 16 types into four groups. As with the 16 types, all of us can use or ‘flex to’ any of these descriptions, but some will be more like us than others, therefore easy and natural, while others will be more of a stretch and take more out of us when we try to maintain them for long. This diagram shows the relationship between these different theories. Represent the ways we gather information and make decisions. Reflect what type of information we naturally gravitate towards and what criteria do we then use to make decisions. Se: Extraverted Sensing (Experiencing) Being drawn outward for the immediate, acute uptake and exploration of sensory data from the external world through senses such as sight, sound, touch, taste, and smell. Si: Introverted Sensing (Recalling) Pulling inward to recall past experiences and compare the present information to a historical data bank of stored sensory data and internal thoughts, feelings, sensations and memories. Ne: Extraverted iNtuiting (Brainstorming) Being drawn to the outer world for the unrestrained exploration and interpretation of new ideas, patterns and possibilities that are not inherently obvious. Ni: Introverted iNtuiting (Visioning) Pulling inward for the unconscious correlation of conceptual ideas, possibilities and symbols that enter consciousness as a whole system or idea. Te: Extraverted Thinking (Systematizing) Making decisions using logical, objective criteria to structure the external world in the most efficient way to achieve the end goal. The output can appear as a structured plan. 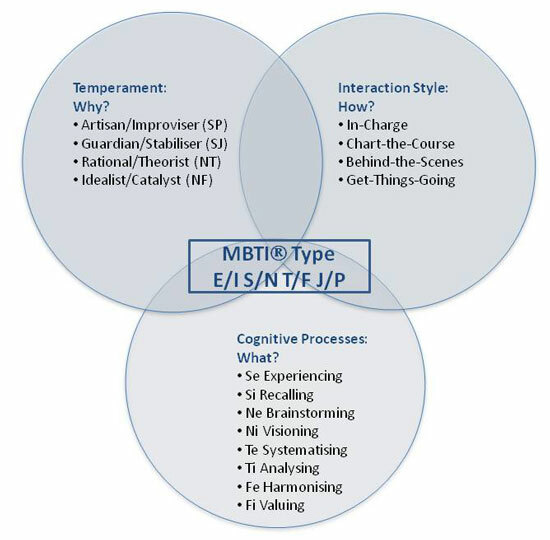 Ti: Introverted Thinking (Analyzing) Making decisions where the information gathered is categorized and evaluated against a model using internal logical criteria. The output can appear as a new frame of reference. Fe: Extraverted Feeling (Harmonizing) Making decisions using subjective criteria to optimize interpersonal harmony considering what is appropriate. The output can appear as a supportive environment. Fi: Introverted Feeling (Valuing) Making decisions based on subjective internal values and a belief system to support individual differences. The output can appear as a fair and unbiased environment. Represents a pattern of needs, values, talents and behaviors described for 25 centuries (Hippocrates, Aristotle, Native North Americans, Keirsey, Myers-Briggs). Reflects WHY we do what we do. The Catalyst’s core needs are for the meaning and significance that come from having a sense of purpose and working toward some greater good. They need to have a sense of unique identity. They value unity, self-actualization, and authenticity. Catalysts prefer cooperative interactions with a focus on ethics and morality. They tend to be gifted at unifying diverse peoples and helping individuals realize their potential. They build bridges between people through empathy and clarification of deeper issues. The Stabilizer’s core needs are for group membership and responsibility. Stabilizers need to know they are doing the responsible thing. They value stability, security and a sense of community. They trust hierarchy and authority and may be surprised when others go against these social structures. Stabilizers know how things have always been done, and so they anticipate where things can go wrong. They have a knack for attending to rules, procedures, and protocol. The Theorist’s core needs are for mastery of concepts, knowledge, and competence. Theorists want to understand the operating principles of the universe and to learn or even develop theories for everything, valuing expertise, logical consistency, concepts and ideas, and seek progress. They abstractly analyze a situation and consider previously un-thought-of possibilities. Research, analysis, searching for patterns, and developing hypotheses are quite likely to be their natural modus operandi. The Improviser’s core needs are to have the freedom to act without hindrance and to see a marked result from action. Improvisers highly value aesthetics, whether in nature or art. Their energies are focused on skilful performance, variety, and stimulation. They tend to be gifted at employing the available means to accomplish an end. Their creativity is revealed by the variety of solutions they come up with. They are talented at using tools, whether the tools are language, theories, a paint brush, or a computer. Is a pattern of physical drives, mental beliefs and innate talents that influence the ways that we interact with others to achieve our goals. Like to think ahead and predict the goal. Believe that it is worth taking time to anticipate what might happen. Tend to appear calm, intense and focused. Have a measured tone of voice and energy. Tend to naturally define the goal and then chart the key milestones required to reach the goal. Excel at defining a sensible plan. Help to keep projects and teams on track by comparing ideal status with current position. Are stressed by not knowing what will happen. Like to take the time to reconcile many inputs. Believe that multiple points of view can be resolved. Tend to appear approachable, friendly and patient. Have a gentle tone of voice and energy. Excel at listening to others. Help to avoid mistakes by gathering as much information and data on a subject as possible. Are stressed by not having enough time or being provided with credit. Like to move quickly towards a goal. Believe that it is worth taking a risk to decide and correcting later. Tend to appear quick moving, confident and determined. Have a fast-paced tone of voice and energy. Tend to naturally take action and lead a group to an objective. Excel at executing tasks, looking at angles and removing obstacles. Are stressed by the appearance of nothing happening. Like to facilitate involvement from the group. Believe that it is worth the time spent to engage others. Tend to appear expressive, upbeat and casual. Have an enthusiastic tone of voice and energy. Tend to naturally involve others in the decision to achieve buy-in. Excel at motivating others and raising energy levels. Help to raise commitment by focusing on exploring options. Are stressed by not being involved or being left out.